No one has added a helpful site for this 2016 CX-5 problem yet. Be the first! Just went to go to work in the morning. Went in my garage to get in my car and out of the blue I had a crack in the windshield. Started at the top at visor made its way down and did a backward L shape. No cracks, no chips nothing. It stays in my garage. And it was not there the day before. I was so freaked. Couldn't figure out what happened until my husband read all other complaints on line of the same issue. Taking my car to Mazda to see if there is something they can do about it. You think that would have had so many complaints to resolve the issue. But I know I'll will get no help. Will see. About 2 weeks back while driving, typically morning, I started hearing weird sounds from the windshield area - like pops or snaps. A few days later I noticed cracks in my windshield. Never took a major rock hit and KNOW for certain that the 'pops' I was hearing was not rocks are debris. This is early morning going to work with no other cars around. After about 2 weeks found about 8 cracks in the windshield. I took it to the dealer and he claims they are all due to rock chips. I asked him if he had ever seen other cars come in with this type of cracking. He refused to answer (I took that as a NO). I was Completely dissatisfied with the service manager on this particular item. He refused to discuss this any further saying nothing he could do about it. I mentioned that I know 2015 and earlier had windshield issues and I feel this car (purchased mid 2015) had the same inferior glass. Bottom line - insurance paid for it even though I am convinced it is due to faulty glass! Other that I have talked to, including my nephew who is a service manager for a different car company also agrees this is bad glass. Bought my 2016 brand new in 2017. Just rolled over to 10K miles. Was driving down the freeway, heard a "click" and a crack started at the top of the driver's side. Nothing had hit the windshield. By the time I got home it had grown to about 20" long. There is no warranty on the windshield. Poor quality windshield by Mazda and the fix comes out of my empty pockets. Don't believe windshield easy to broken like that. No stone chip... just stress crack. This is the third time my windshield has cracked. The first time it was replaced at my cost. The second time I had a small ding in the windshield and they came and repaired for free under my insurance policy. Now I got in my car on Friday and it is completely cracked in a small square on the passenger side, which I am sure will need to be replaced AGAIN! This is getting very annoying! Windshield should NOT crack this easily or often! My car is less than 2 years old and this is the third time this has happened. Something needs to be done with these windshields through the Mazda dealerships or manufacturer! As much as I love my Mazda, I am considering getting another vehicle my next go around. Bought a brand new 2016.5 CX-5 November 2016, everything was okay until today (April 23, 2018). I went to my car and saw a long crack in front of the driver's seat starting from the bottom edge with no point of impact. Then my wife told me that she noticed that this problem is very common on mazda CX-5 models. I recently bought a used Mazda CX-5. Very excited about it. Five days later, I went to get in it after work and found a crack running from under the top seam straight down and then feathering out. No impact damage. Parked in a secured lot. It didn't look right, so I looked up Mazda windshields and found out others had the same issue. Took my car to Mazda the following day. They agreed it looked strange, but the service manager said he didn't have the power to replace it. He said he had to appeal to the district manager. I asked how long it would take and he said it would take at least two weeks. I said could not wait two weeks to have it fixed. It was distracting, dangerous and illegal to drive it that way. Said I had to get it replaced and then see if if Mazda would come through. In the end, they offered to replace the glass, but when they found out I had already had it replaced (by the company on their property) the district manager declined to reimburse me because he said the 2013 Mazda glass they used was aftermarket. They said I should have waited. Didn't matter it impaired my vision. The so-called "Customer Care" person in charge of my case was nice at first. But by of the end of it, I was to blame for not waiting to replace the windshield...according to Mazda. I asked if I could talk to the district manager about why he approved and then disapproved my case, only to be laughed at by the customer care person. We in the public are not allowed to talk to the higher ups directly. Like I said, had my car less than a week. Horrible experience for a first time Mazda owner. I was washing 2 cars under the sun, one is Honda Pilot and the other is Mazda CX5. While I was spraying the windshield of CX5 I heard a pop and saw a long crack from top going down left and another to the right to the level of the rear view mirror. Nothing happened to the other car. Poor quality windshield. Driving down the highway and heard a pop. Saw a crack forming on the right side windshield about half way up. Started from the door frame. There is no rock damage. Just had the car inspected 4 days earlier. My car was parking in my garage. Upon returning from a two week trip I found the windshield with a crack from the top down about 2 feet. There was no crack in the windshield when we left for the trip. There was no evidence that the windshield had ever been hit by a stone or other item. Of course my insurance deductible was $500 so I had to pay for replacement with out any reimbursement. This complaint is for the 2016.5 Mazda CX-5 Grand Touring. Much like all the other complaints, one small rock sent a crack 2 feet wide across the windshield. Only solution was to have a new one completely replaced. As a note, once we replaced it with a completely new (OEM) it seems to be ok. 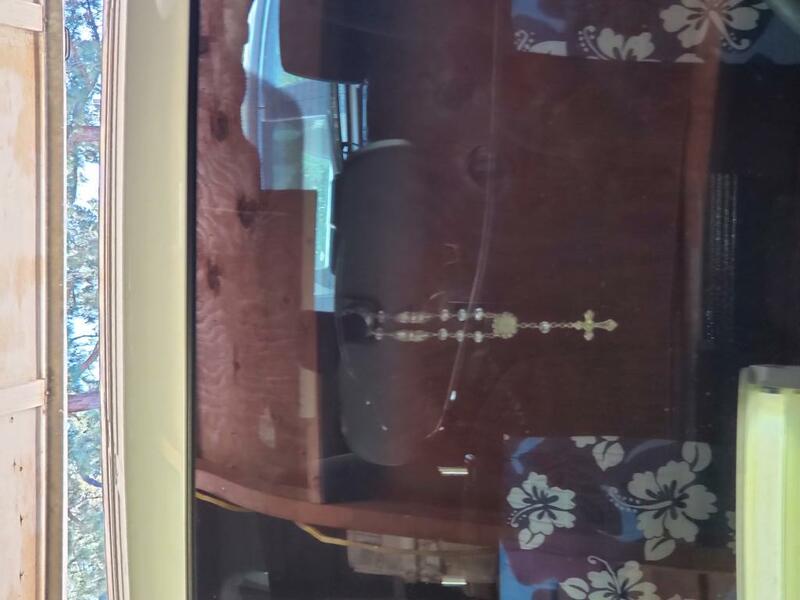 It recently took another rock to the windshield, but only a minor crack this time that was able to be repaired with resin. I was driving in the freeway and had barely bought the vehicle two months prior. My driver side window shattered completely. I took it to the police station and they inspected the vehicle extensively noting no rocks, pellets or other evidence of impact, which makes me think it was a glass defect. I took it to the dealer and they dismissed me citing that glass was not covered under the warranty even without inspecting the vehicle or researching to see whether there was a recall. parked my car in the driveway after a day of shopping with my wife. Came out the next morning to find a large crack in the windshield. 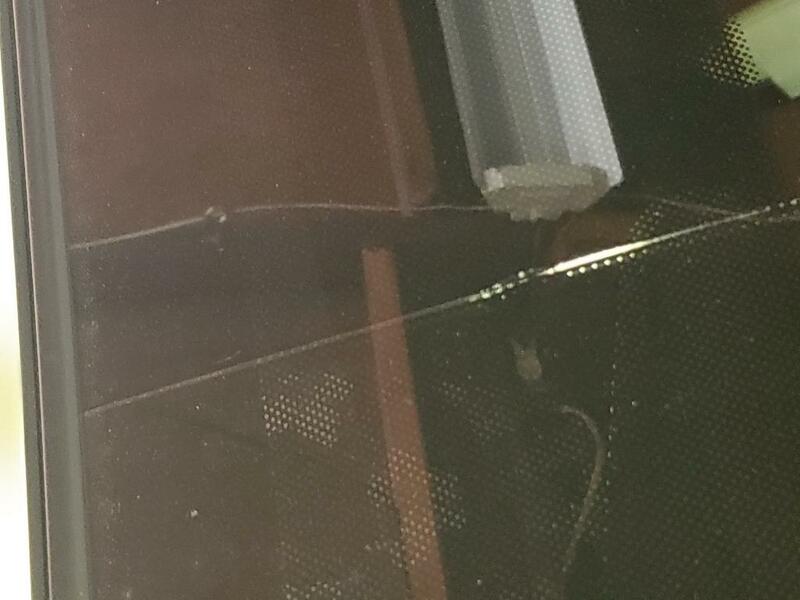 The crack went from the top, middle of the glass where the sensors are located straight down for about 12 inches. It then split into sections forming an upside down 'Y" shape. Dealership told me they had not had any complaints but after seeing all the complaints online I know this is a major problem for Mazda. Update from Jul 7, 2017: Windshield broke again. Same place. No reason for it to break. Talked to the dealer. They do not install OEM glass but call a glass shop to come and put in aftermarket glass. If I want OEM glass the price goes up $300. Really starting to hate this car. Too many problems and NO backing from Mazda. My windshield cracked right up the middle one day while sitting at a red light. My new CX-5 had less than 3000 miles on it. I drive my car 10 miles a day to the train station and then back home. I took it to the dealership and at first, they claimed it was hit by a rock. I challenged that as there was no divot in the glass and it cracked while sitting still at a red light. So they advised they'd ask someone in corporate to see if they would fix the glass. They called me the next week and advised they would replace the glass. Claimed it had to be ordered from California. After three weeks and no call to replace the windshield, I called again. Seems the windshield had to come from CHINA. So 5 weeks after reporting it, my windshield was finally replaced at no cost (monetarily) to me. I was just inconvenienced for weeks trying to see out of the windshield as the crack grew to over six feet as it snaked up then to the left through my field of vision and then back to the right. And, of course, my time to sit and wait at the dealership. A new CX5 2016. Driving on the highway, and it just cracked, from the mid-left edge for about 12 inches. I didn't see a rock or pebble flying by. I only heard a soft sounding crack and the crack formed, and I saw the crack happening. Dealer and the Mazda district manager won't fix it, saying its not covered under warranty. 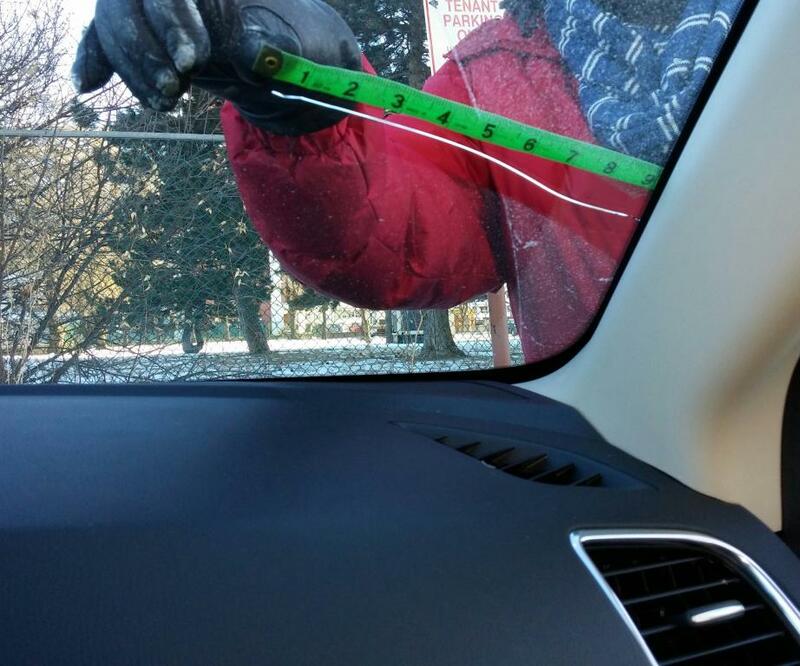 The windshield thickness appear thinner than other other cars. In my opinion, I think Mazda used thinner and less expensive windshields, thus it is more prone to cracks. It also compromises the passenger's safety. Mazda knows that Insurance companies will replace the windshield without question, so they're saving a few hundred bucks on each car! 2016.5 CX-5 has 2800 miles/2 months old. I have a 20" crack that originated from edge below wiper passenger side. This is a well documented issue with CX-5. This SUV is less than 1 year old and I am getting ready to replace my second windshield. I have owned Honda Accords for the past 20 years and never had a problem with windshields like I have had with this SUV. When a rock hits the windshield it cracks immediatly and runs about 4" and by the next day it is approximately 12 - 18" long. This is the 2nd time in 30 days this has happen. Very dissappointed with the windshield inthis SUV. I love the vehicle as far as driving, looks & gas mileage but I don't know if I will purchase another one until this issue is resolved. Update from Aug 19, 2016: I am now on windshield 3 in 8 months time. This windshield just exploded. There was no traffic for a rock to have hit the car. I took it to the mazda dealership and complained and they told me something had to have hit the windshield. These windshield are horrible. There should be a recall on this car. Got my 2016 Mazda CX5 in December only to find a scratch on my windshield, I was very hesitant to take to the dealer after reading all the post about windshield breaks easily and wondered if I should live with a simple scratch. I decided to take my car to the deader the end of January for them to inspect and they decided to replace it with a new windshield, the work they did to replace it was flawless to my eyes but I was nervous that the replacement windshield could have been of a different quality although it was a genuine Mazda marked glass. 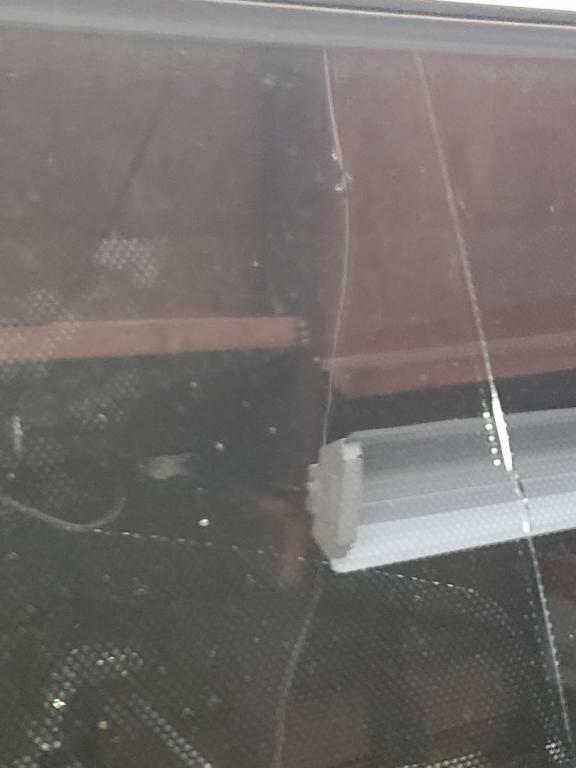 Three weeks later on the Highway a stone hit the glass but no visible crack showed anywhere, the next day the crack in picture appeared. Dealer said not covered under warranted, I call Mazda Canada and they said Its not a concern at this time but will keep on file. Where do I go from here??? Update from Sep 5, 2016: Back in July, I replaced my windshield (Insurance clam) and made sure the replacement glass was not a Mazda branded glass (I'm not leasing vehicle). Since having a different branded windshield I had 2 stones hit the glass and it is still standing strong and no chip. Maybe I was just lucky but I do hope this windshield with tested time is superior to a mazda branded windshield.